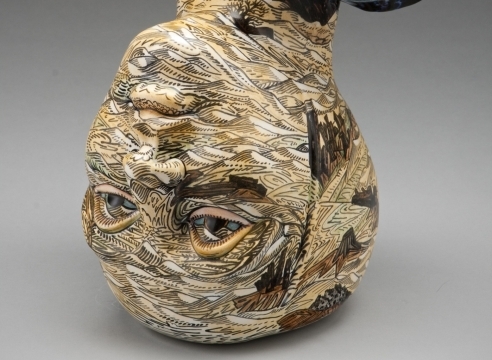 We are pleased to present a new exhibition of works by accomplished ceramic artist, Connie Kiener. This exhibition features sculptures and bas relief, using humans and animals as their inspiration. Whimsy and a sense of joy are expressed by the dogs, cats, birds and occasional humans who come to life in Kiener’s latest work. A Portland native, she has gained a national reputation as a ceramist, influenced by the Italian style of maiolica. She paints with unusual sensitivity and vivid color on figurative forms, wall mounted pieces, and sometimes on vessels.